In a recent survey conducted by National Institute of Health Statistics, researchers asked respondents about the four most common types of pain and neck pain came in second only to low back pain. But, while low back pain often gets all of the press in terms of spine-related injuries and disability cases, neck pain can be just as burdensome and it can have as great a negative effect on one’s quality of life as any other type of chronic pain. One of the biggest problems with neck pain is that the root cause of it isn’t always clear. From how you work to your choice in pillow, there are a variety of everyday factors that can accentuate one’s pain and this makes determining the cause even more difficult. If you have neck pain, a neck pain chiropractor can help you sort out the issue and reduce your pain in many cases after just a few sessions. And, they can help you uncover the real reason behind your pain. To help you get started, here are seven of the most common causes of neck pain. Bad Posture: Many people underestimate just how important a good posture is to maintaining one’s health. If you don’t pay attention to your posture and you tend to slouch a lot throughout the day, you are putting stress on the muscles in your neck and shoulders. The resulting strain causes intense pain that worsens throughout the day. Poorly Positioned Computer Monitor: We use them at work and we use them at home. Computers are definitely part of our everyday lives. But, if your computer’s monitor isn’t positioned properly, you will start to develop chronic neck pain. Ideally, your computer monitor should be positioned at eye level to reduce strain on your neck muscles. Unsupportive Pillow: If your pillow is old and the padding inside has lost its supportive nature, then sleeping on that flat pillow will cause your neck to extend at odd angles, resulting in a stiff neck upon waking. But, just as bad is a pillow that’s overstuffed because it causes the exact same effect. The best pillow is one that gently cradles the head while keeping the cervical spine as straight as possible. Osteoarthritis: Osteoarthritis is the deterioration of cartilage in the joints and this can occur anywhere in the body, even the cervical region of the spine. 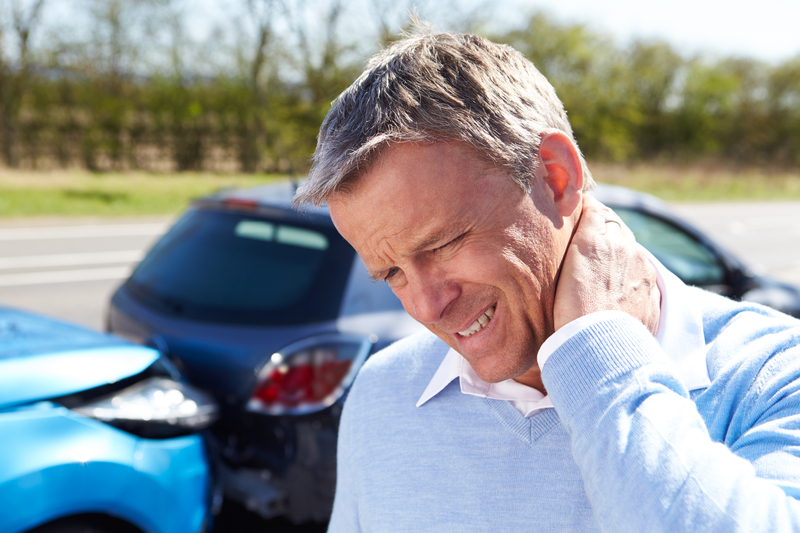 When someone has osteoarthritis in the cervical spine, they will usually have pain in the neck in the morning, at night, on cold days, and often, right before a rainstorm. Degenerative Disc Disease: Degenerative disc disease is an age-related condition that involves the wearing down of the discs in the spine. When this occurs in the cervical region, it can result in pain in the neck that comes and goes. Herniated Cervical Disc: A herniated disc in the cervical region of the neck can put pressure on nerves, thus causing intense pain. Spinal Stenosis: Spinal stenosis is a breakdown of the discs and the joint facets in the spine. As the spine compresses, it places a lot of pressure on the nerves to the point that it causes intense pain and in some cases of cervical spinal stenosis, even numbness, shooting pains, or electrical-like shocks in one or both arms. At Southeastern Healthcare, our chiropractors help patients suffering from neck pain find the relief that has eluded them for so long. Most causes of neck pain are treatable and we can help. Schedule an appointment with a neck pain chiropractor today and we’ll provide you with a complete physical assessment and a customized plan of care that will have you feeling better and healthier. Call Southeastern Healthcare today at 910-202-4341 to schedule an appointment with a neck pain chiropractor. We are here for you. With six locations throughout the Wilmington area, we have an office conveniently close to you. The spine rarely gets much thought or consideration, but it is one of the most important features in the human body. Without it, we wouldn’t be able to move, let alone stand upright. It’s so important that it even has its own day – World Spine Day. If that surprises you, then here are 20 more spine facts from Southeastern Healthcare’s chiropractor Wilmington NC. There are dozens of causes of back pain, but a great many of which can be improved simply by being treated by an experienced chiropractor Wilmington NC. Isn’t it time you stopped living in constant pain? Get the relief you’re looking for, safely and holistically, at Southeastern Healthcare. For millions of office workers, freelancers, call center agents, and other professionals that spend the majority of their workday sitting in a chair, neck and back pain can be a part of everyday life. In fact, work-related musculoskeletal disorders (WRMSDs) are among the most common causes of occupational injuries and disability. Every year in the United States alone, WRMSDs account for more than a third of all work-related injuries, causing workers to miss more than 647,000 days of work. Also, they account for as much as $60 billion in workman’s compensation claims. But, a lot of these injuries and illnesses can be avoided simply by implementing good workplace ergonomics and by seeing a reputable chiropractor for back pain Wilmington NC regularly. Here, we discuss more about workplace ergonomics and its importance. What Can Bad Ergonomics Cause? If not remedied, the individual will be higher at risk of suffering from chronic back and neck pain, carpal tunnel syndrome, sprains, and even hernias. In a recent report published in the Journal of Back and Musculoskeletal Rehabilitation, researchers analyzed the postures of laboratory workers to determine whether or not ergonomics had any relation to the prevalence of work-related musculoskeletal disorders, the workers’ postures, and other work characteristics. Data was gathered using the Nordic Musculoskeletal Questionnaire (NMQ, a standardized scale for measuring musculoskeletal disorders and occupational health), the Visual Analogue Scale (VAS, a type of self-reporting measurement), and RULA (Rapid Upper Limb Assessment, a self-reported scale by which workers assess the postures that most accurately reflect their working positions). The researchers were able to conclude that poor workplace ergonomics caused musculoskeletal problems in 73.3% of the workers, and there was a direct correlation between the severity of one’s posture and the number of musculoskeletal problems they had. What Can Be Done About Poor Workplace Ergonomics for Back Pain Wilmington NC? For even more tips, the United States Department of Labor’s OSHA website has a workplace ergonomics checklist you can review. Another thing you can do to help improve your posture, relieve back and neck pain, and improve your overall health and wellness is to schedule an appointment with Southeastern Healthcare’s chiropractor for back pain Wilmington NC. Getting and keeping your body in alignment is one of the most important things you can do to help improve your comfort through the workday. Make an appointment with one of our back pain chiropractors today by calling 910-202-4341. With six locations throughout the Wilmington area, we have an office conveniently close to you.